Born in Sheffield England in 1954 Ronan Magill talents as a musician and pianist were first noticed by Yehudi Menuhin (who invited him as a 9 year old to be a founder pupil of the now world renowned Yehudi Menuhin School) and by Benjamin Britten (who became his mentor while he was later studying piano and composition at the Royal College of Music). After winning the top prizes at the RCM and performing with top orchestras, Ronan Magill continued his studies in Paris with Yvonne Lefebure (living for 12 years in a famous house in the Marais where Beaumarchais wrote “Marriage of Figaro”) playing many concerts and recording much work for TV and radio as well as taking time out to study with the distinguished pianist Nikita Magaloff in Switzerland. 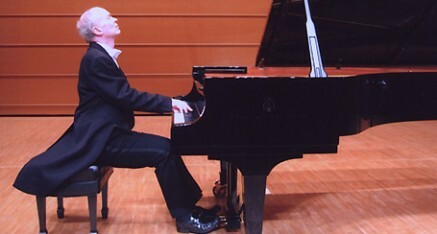 Since 1989 Ronan Magill’s been living in the UK and performing around the world, recently having success with his concerto debut in the USA playing Rachmaninoff’s 3rd piano concerto and most notably in Japan where he is regularly invited to play.